Last Saturday evening at the Blue Parrot Professor Mike launched an impressive first stage of their comeback from near-oblivion. 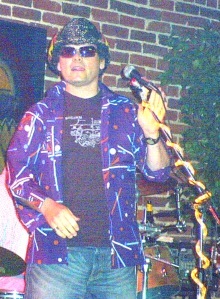 The band had gone on hiatus last year shortly after their appearance on episodes six and eight of Radio Free Charleston. Their bass player exited the band in November, and they never quite resumed their career, until last Saturday. Episode 23 of Radio Free Charleston, The Feast Of Stephen Reunion Show, is online now! This is a document of one truly amazing night of musical magic at LiveMix Studio. 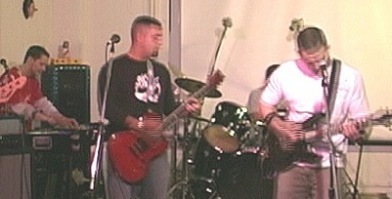 On May 12, members of a band that hadn’t played together in fourteen years gathered at LiveMix to kick out the jams one more time. Radio Free Charleston was on hand, and here’s the story behind the music. As sort of a new feature here in PopCult, I thought it’d be fun to recap my weekend, since I’m trying to take in as many events that I plug here in the blog as I can. I’ll be taking more of a “personal journal” approach to what will probably become a weekly PopCult feature, so I hope you guys are ready to wade knee-deep through the self-indulgent pretentiousness. This weekend was filled with music, The Simpsons, calimari, Batmobiles, and the sweet smell of band reunited. I also discovered the most amazing thing, possibly the smartest marketing move that a restaurant ever made in downtown Charleston, Bellacino’s is now open until 5 AM on Friday and Saturday nights! The last weekend of July rocked! 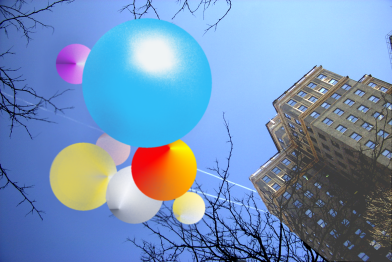 One of the most endearing sights around Charleston is the mysterious multi-colored UFO balls that occasionally float over Capitol Street around the Lee Street Triangle. The other day I was lucky enough to catch them on film. Comic books, movies, toys and all things that make the nerdy little boys sigh were all in abundance at the big Comic Con this weekend. 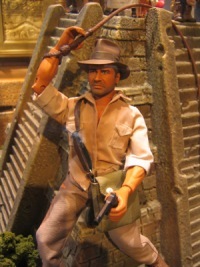 Among the coolness were things like Hasbro’s upcoming 12″ Indiana Jones action figure (right) and buttloads of movie trailers for upcoming film epics. Loads more news came out of the International Comic Con in San Diego this week, and you can follow the links after the jump to catch up on all the hottest news from the world of pop culture. USA Today is reporting that DC/Wildstormhas scored the comic book/graphic novel rights to the hit NBC series, “Heroes.” DC will offer a hardcover collection of the online Heroes comic strips which will also feature artwork done for the series by Tim Sale, and new cover artwork by Jim Lee and Alex Ross. An ongoing series is penciled in for next year, pending final contract negotiations. We’ll have more news from San Diego’s Comic-con International all week long, here in PopCult. One of the coolest thing about this tour around the city by Sean is that many of the establishments are SMOKE FREE! 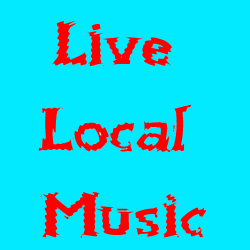 That means that you can go out and hear some of the most innovative music being made in Charleston without breathing in some addict’s second-hand smoke. In addition, the PopCult and Radio Free Charleston crew is trying to organize a cultural event Friday night. We’re trying to get as many people as possible to go hear Sean perform at Taylor Books. Then we’re going to grab a late dinner and catch the Simpsons Movie at the five-dollar midnight showing at Great Escape Theater in Nitro. It’ll be a night of ultra-mega-coolness! We’d planned to see the Simpsons Movie at Park Place, but their last showing of the day is half an hour before Sean wraps up. Why is it that downtown Charleston seems to keep Mayberry hours? I’m a doting Uncle. When I see a cool toy for my niece or nephews, I pick it up and wait until just the right moment to spring it on them so I can cement my status as “Coolest Uncle In The World.” Recently, I picked up a plush talking figure of TNA Wrestling’s Samoa Joe, “The Samoan Submission Machine.” It’s one of those stuffed figures that talks when you punch it. 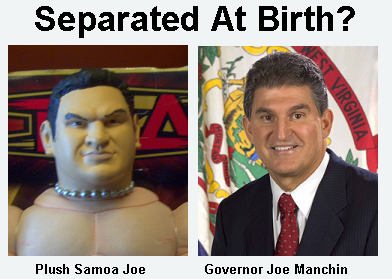 I haven’t doled this one out to the kids yet, and the other day when I was looking at it sitting there in my living room, it hit me….this toy grappler didn’t really look much like Samoa Joe, but it bore what I consider to be an uncanny resemblance to our Governor, Joe Manchin. See for yourself…..
….now, I don’t know if this means that we should start calling the Governor “The Marion County Submission Machine,” or if maybe Samoa Joe will hit the six-sided ring in TNA and declare it “Open For Business.” I do know that I found it a tad amusing. I immediatley thought that maybe the next time the legislature’s in town we can get a crowd of people to chant, “Joe’s gonna kill you!” Of course, I was on cough medicine at the time.